Bluetooth is a standardized wireless protocol that connects electronic devices that are in close proximity. It is high-frequency technology has a range of no more than 30 feet. Its range is also its main security feature. Someone with a Bluetooth device would have to be within 30 feet (10 meters) before they could attempt to connect. Instead of creating a Local Area Network (LAN) it creates a Personal Area Network (PAN) just for you, also known as a piconet. Bluetooth compatible devices include: hearing aids, headphones, cell phones, personal computers, laptops, printers, GPS receivers, digital cameras, landline telephones, video game consoles, iPods, MP3 players and many others. In 1994 Erickson Corporation of Sweden developed Bluetooth wireless technology. Bluetooth was named in honor of the 10th century King Harald “Bluetooth” Gormson who unified Denmark and Norway. In the early 90s infrared (IR) was the wireless standard for communication between devices and it had shortcomings. Bluetooth was designed to overcome infrared’s shortcomings, including the most detrimental shortcoming, line of sight. Infrared had to be aimed at a device like a flashlight. 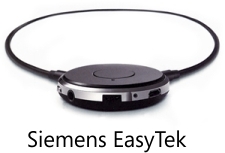 Bluetooth broadcasts and receives in all directions therefore eliminating the line of sight issue. It has been kept current by upgrades over the years. Bluetooth has a theoretical limit of eight combined devices (7 connected to a master), but in reality it is often limited to 3 to 4 devices. Bluetooth capability is being incorporated into hearing aids. Several hearing aid manufacturers are offering this technology. 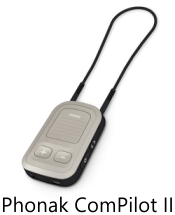 Hearing aids require an interface device in order to control the connectivity between hearing aids and other Bluetooth devices. An individual can connect to most any Bluetooth audio source, television, cell phone, landline phone, music devices, automobile interfaces and many other devices. There is no need to put a cell phone up to your ear or to wear headphones or earbuds. The user can hear the Bluetooth device in stereo through their hearing aids. 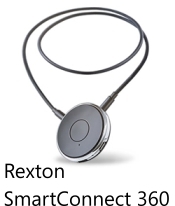 The Bluetooth interface device needs to be in somewhat close proximity to the hearing aids. Therefore it needs to be worn around the neck or attached to a shirt pocket or lapel. These interface devices have a limited scope of features they can control, this is because their small size generally limits the control buttons to one or two. This has been resolved by creating Apps that are available on both Android and Apple devices. These Apps allow a wider range of control.